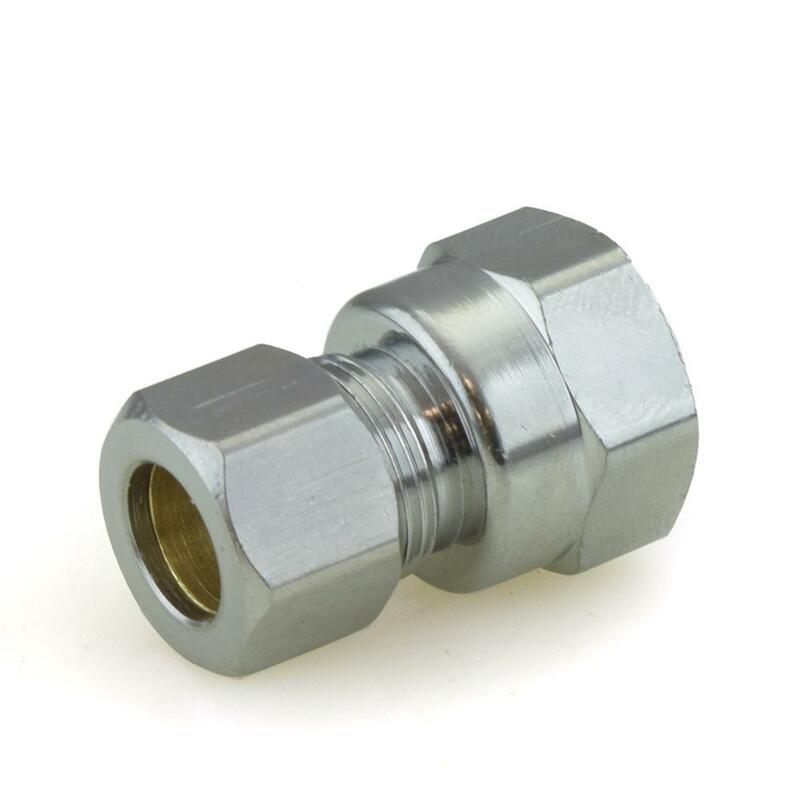 The 10X-C from BrassCraft is a 3/8” OD No Tube Stop x 3/8” FIP Threaded Compression Adapter, Chrome Plated, Lead-Free. It's used to connect 3/8" OD copper/plastic pipe (or flexible water connector) to a 3/8" male threaded outlet or pipe in a straight line. "Drill-through/No-stop" design allows to insert the copper tubing or riser deeper into the fitting without the need to trim it to size. Made from lead-free brass and approved for potable water applications.